What a teaser. It has some nostalgic elements, fear, mystery, and expectation. Bravo! Great teaser!! Thanks for stopping by! Interesting teaser! Been curious whether or not to check out this novel since I love Terry Pratchett's Discworld series and this sounds pretty different. Nice teaser! I like anything that references Narnia. I've been hearing awesome things about this book, and I love this teaser. Thanks for sharing! Wow, that teaser has a little bit of everything! Great pick! I enjoy every story I have read of Terry Pratchett's. ha, love that little teaser! especially the nod to Narnia. definitely going to have to pick this one up! 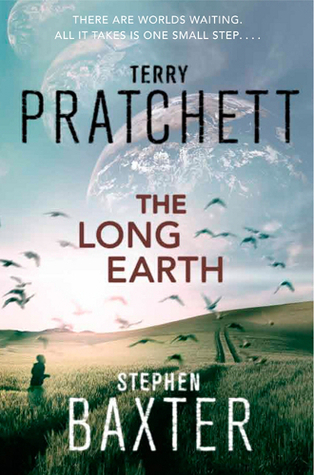 Sounds terrific, but Terry Prachett is involved so that's a no-brainer. Ooh, sounds very intense. Great teaser! "I never stepped into no wardrobe" - made me laugh. :D This one sounds so good, and I love the cover. LOL - an intriguing teaser. Thanks for visiting! I love the last line of the teaser, lol. Thanks for stopping by mine!